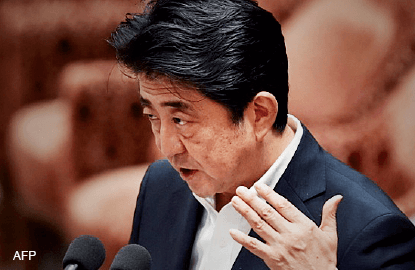 JAPANESE Prime Minister Shinzo Abe has said that when he commemorates the 70th anniversary of the end of World War II today, he would rather focus on the future than repeat the apologies of the past. That may sound reasonable to some ears. Seventy years, after all, is a long time. Yet Abe may be about to make a mistake. Japan’s choice is not between looking backward or forward. A sincere restatement of remorse isn’t just compatible with Abe’s stated agenda of restoring pride and confidence to Japan; it’s a necessary first step, especially as Japan begins to rebuild its military as a global force. Abe’s right-wing supporters complain that nothing he might say will satisfy leaders in Beijing and Seoul. China’s government regularly stokes anti-Japanese sentiment to bolster its nationalist credentials, and South Korean leaders have rejected as insufficient Japan’s previous efforts to atone for the sexual enslavement of thousands of Korean “comfort women”. Textbooks in both countries still demonise the Japanese colonisers and downplay Tokyo’s role in boosting Asia’s tiger economies after the war. This cynicism ignores a couple of things. First, Abe’s well-known revisionist leanings — reinforced by his visiting the controversial Yasukuni war shrine and appointing hard-line officials to his cabinet and other posts — have eroded trust in his sincerity. Unless he addresses Japan’s wartime record directly and honestly — using words such as “aggression” to describe the invasions of Korea, China and Southeast Asia — Beijing and Seoul will have every reason not to lay this issue to rest. Second, Abe’s avowed nationalism gives him unique standing to advance the cause of reconciliation. Coming from him, an expression of remorse — one that could still acknowledge the loss and sacrifice of ordinary Japanese soldiers and civilians — would carry greater emotional weight and offer greater closure than previous such statements. Even if he fails to change minds in China and South Korea, convincing the rest of the world that he’s sincere would make it easier for him to isolate Japan’s most trenchant opponents. All sides have pressing reasons to seek rapprochement. Tensions have grown steadily since Tokyo’s 2012 nationalisation of disputed islands and Abe’s visit to Yasukuni in 2013. The entire region is bearing the cost. Japanese investment in China plunged almost 40% in 2014, and bilateral trade has stagnated. China is growing at its slowest rate in years, while South Korea and Japan are struggling with deflation. For all of them, expanding trade and investment should be priorities. And South Korean President Park Geun-hye has hinted that she’s ready to resolve the comfort-women issue, given the right gesture from Tokyo. Japanese officials sound optimistic about a summit with Chinese President Xi Jinping. A full-fledged apology would also help Abe in his larger purpose of rebuilding Japan into a “normal” country — self-confident and active on the world stage. Legislation he’s sponsored to allow the Japanese military greater freedom of action has run into fierce opposition at home, partly because voters fear that Abe might stumble into an armed conflict. Better relations with China, especially, would assuage those concerns. No apology can ease all the tensions in the region. Territorial disputes will linger no matter what, as will the contest for leadership in Asia. But Japan would be better able to meet these challenges if its economy were on the mend, its relations with the United States and South Korea were stronger, and its rearmament were welcomed rather than feared by most of its neighbors.